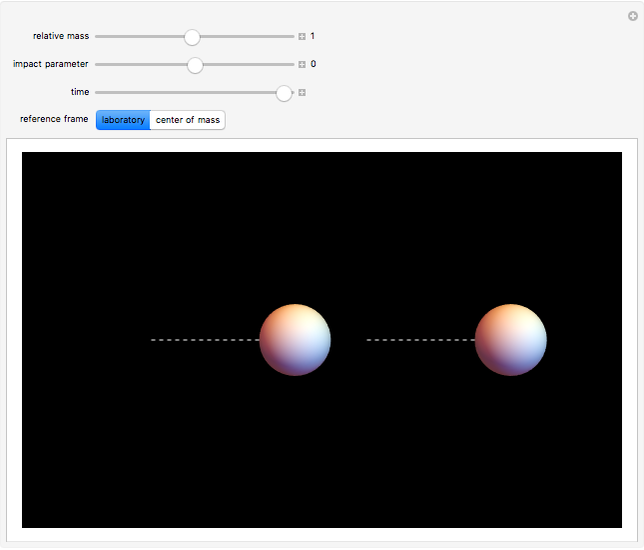 Snapshot 1: The simplest case is a head-on collision between identical spheres: they simply exchange velocities. 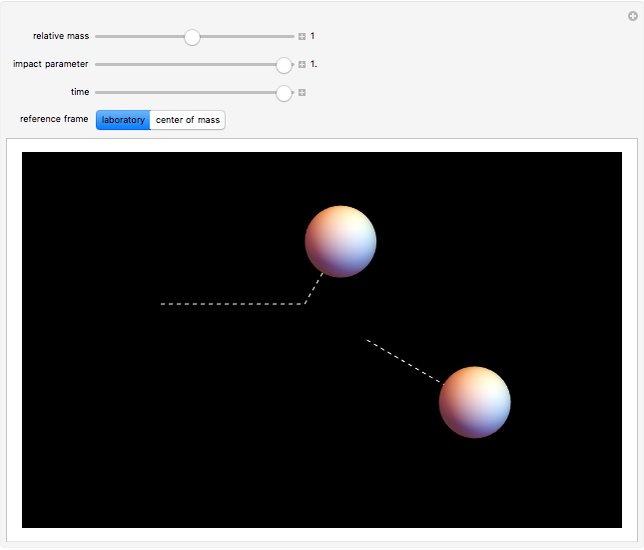 Snapshot 2: The trajectories of two identical spheres in any angular collision are exactly perpendicular. 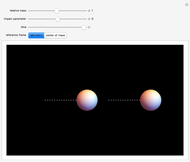 Snapshot 3: A lighter sphere gets the worst of a collision. Snapshot 4: Here is the same collision viewed in center-of mass frame. 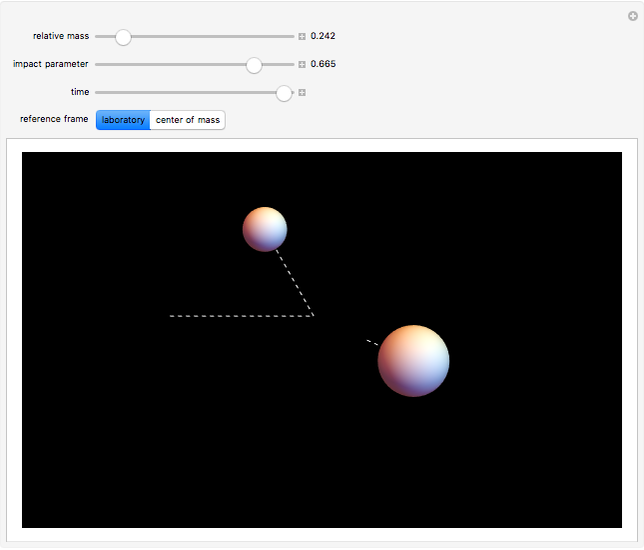 S. M. Blinder "Elastic Collisions of Two Spheres"